The crowds epic roar was marvelling, and it was one that the members of SHINee remembered to this day. It had been six years since their Tokyo Dome concert, which was the most memorable concert anyone could have ever experienced in their lifetime. 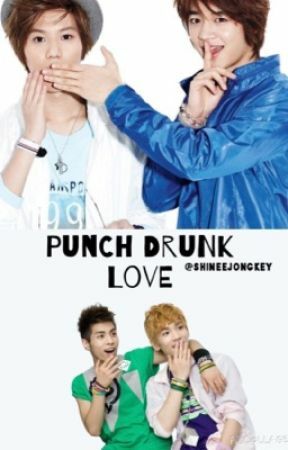 As soon as it happened, news of Key and Jonghyun&apos;s kiss spread like wildfire through the news. As well as recapping on Minho and Taemin&apos;s minor confession, the news anchors all gossiped on about the couple&apos;s kiss. The world was shocked, not because of the fact that they kissed in front of a crowd, but because of the fact that their management team were the ones forcing them to hold back their love. Of course, not everything went smoothly. Some of their fans deserted them because of both couple&apos;s sexualities, but the rest of the fans stuck by their every move, supporting their idols no matter what they did. Just like true fans would. The fans would make small jokes about how Onew was dating chicken (a rumour that Onew wouldn&apos;t mind becoming a reality, as long as he got an unlimited free supply of edible chicken), but a few years after news of Jonghyun and Key&apos;s relationship broke out into the world, Onew found a love of his own. Park Yun-Seo is Onew&apos;s girlfriend of three years. She is small, with brown hair and hazel eyes - she was sheer perfection. She wasn&apos;t stick thin - Onew was never one to go for girls who looked like stick insects - but she was an angel. Onew loved her more than his heart and head could fathom. They spent every second of every day together - she would tag along to all of their concerts, she would go to meeting with the group, she would stay at the dorm. Wherever Onew was, she was as well, and that&apos;s what made their relationship so unique. Even though they were with each other every second of every day, they never argued and never got sick of each other. So envious that on March 30th, 2015, Onew proposed. Their wedding wasn&apos;t extravagant; they had their family, the band and a few close friends came and nobody else. And it was held in a small church - a local one. They liked their privacy and they liked things calm, not too over the top or noisy. The band were extremely happy for Onew and they adored Yun-Seo - she was like a little sister to them. Key and Jonghyun, and Minho and Taemin have yet to get engaged, (considering it&apos;s illegal) but they are content and happy with how they are living now. They are madly in love and they don&apos;t need a ring to prove that. All in all, the journey that the SHINee boys have endured was the most perilous, challenging journey they had ever encountered; they&apos;d come across bumps and obstacles along the way, but the outcome was better than they could have ever asked for. The outcome was making five best friends. They were inseparable and always will be. Nothing was ever going to change that.